Award Winning Florist! ** Voted "Best Florist" in Bergen County, New Jersey for 2007, 2008, 2009, 2010 & 2011,2012, 2013, 2015, by 201 Magazine Readers, 'Best of Bergen" voting. We were runner up in 2014. We were New Jersey Magazine's "Best Florist North" for 2014. -100% Satisfaction guaranteed. If you are not satisfied with our service please let us know within 24 hours of receipt and we well replace it promptly. -Located on over 4 acres with 9 greenhouses producing plants and cut flowers. -We have been awarded many top sales awards for which we thank you, our customer. 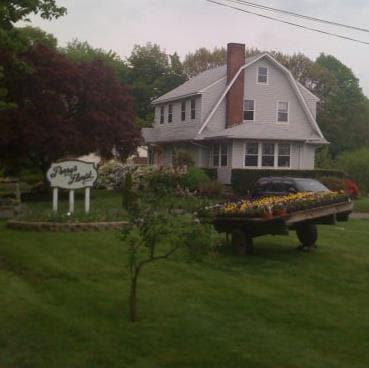 -Perry’s Florist is always ready to help you with your needs…large or small. Just give us a call and try our services…you will not be disappointed. *Our shop is open from 8:30 a.m. to 6:00 p.m., Monday through Saturday and from 9:00 a.m. to 3:00 p.m. on Sunday. Closed on Sundays in July & August. Our shop will always be closed on the following holidays: Christmas Day, New Year's Day, Mother's Day, Independence Day, and Labor Day. Our commitment to you is 100% satisfaction on all your floral and gift purchases. If you are not completely satisfied, let us know by calling (201)445-5668. -Greeting cards, candles, and an extensive gift line. If you have any questions or need more information, please contact us by phone directly at (888) 737-7973 (or 201-445-5668 for local and international). We're always here to serve you and make your flower-sending experience a pleasure.